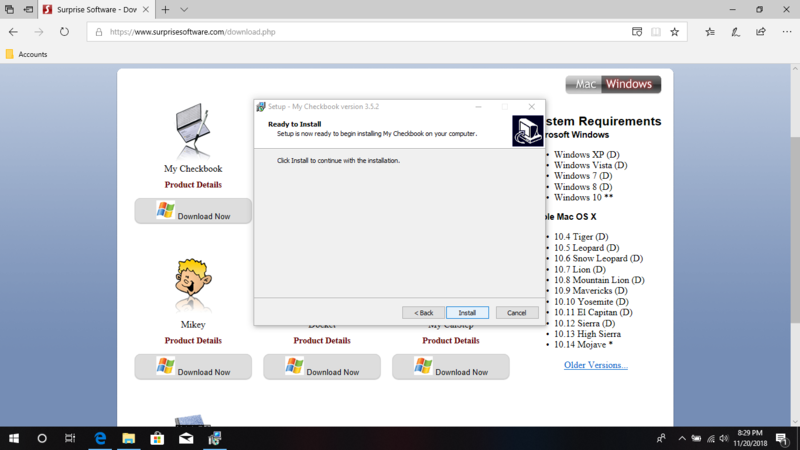 You'll first need to download the software from our website. 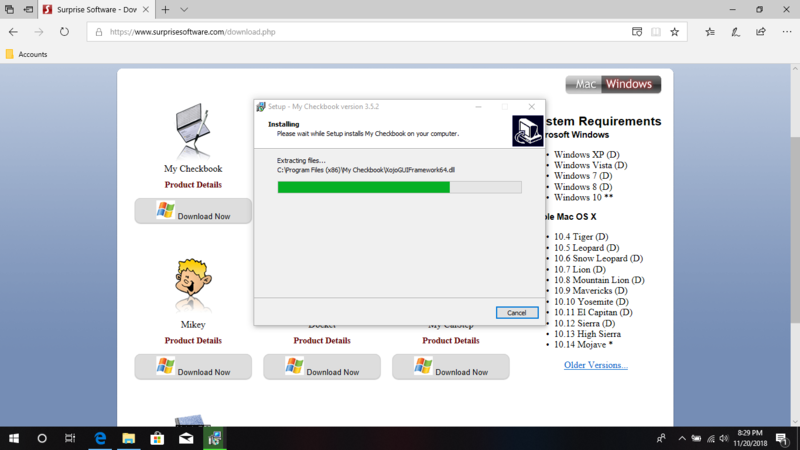 If you choose to Run the software, the installer will be launched after the file is downloaded. 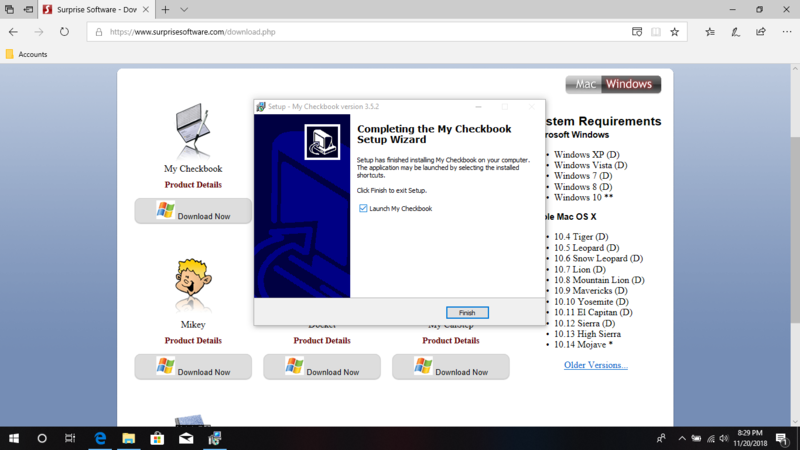 If you choose to Save the file, then you'll need to find the downloaded installer, called "mycheckbook-setup.exe" in this case, and launch the installer yourself. 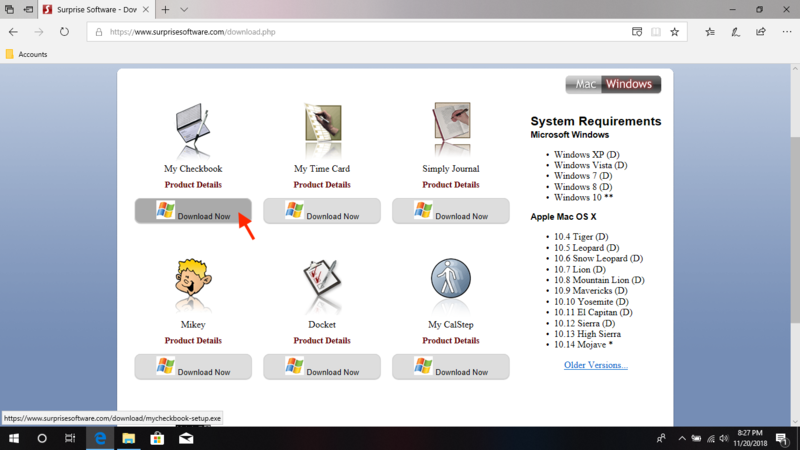 If you are prompted about security of the file, you can click the "More info" link to learn more about the publisher and ensure that it is from us. Verify that the publisher information is "Surprise Software LLC" and that there are no other security warnings. 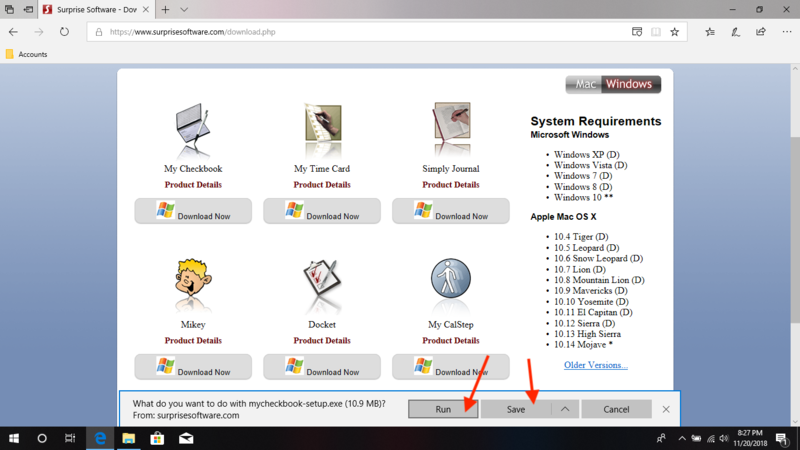 Then you can click on "Run anyway" to continue to install the software. 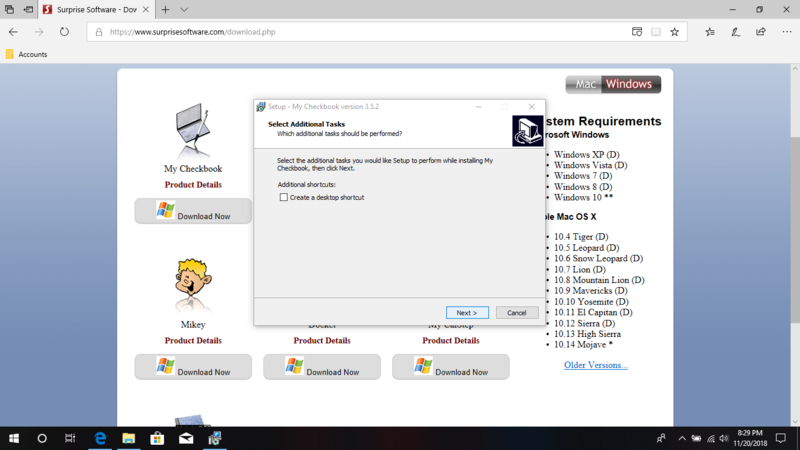 The following screens can be left default, and you can proceed through the install steps. 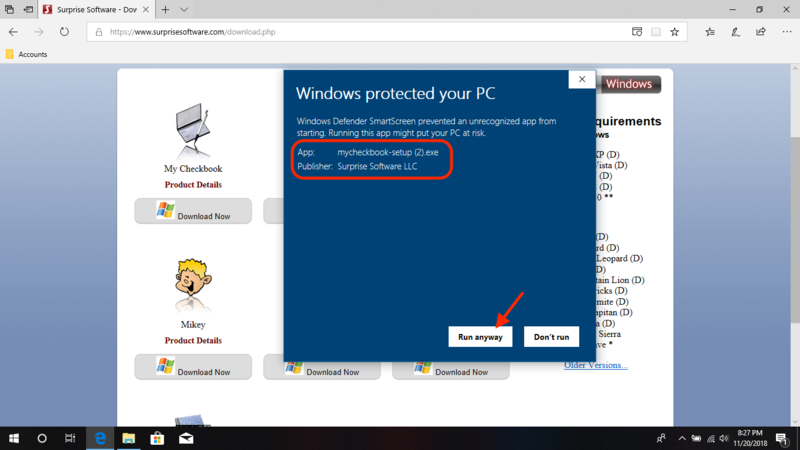 You can now launch the My Checkbook program either from this screen (by leaving the "Launch My Checkbook" option checked) or in the future by finding the "My Checkbook" application in your start menu. 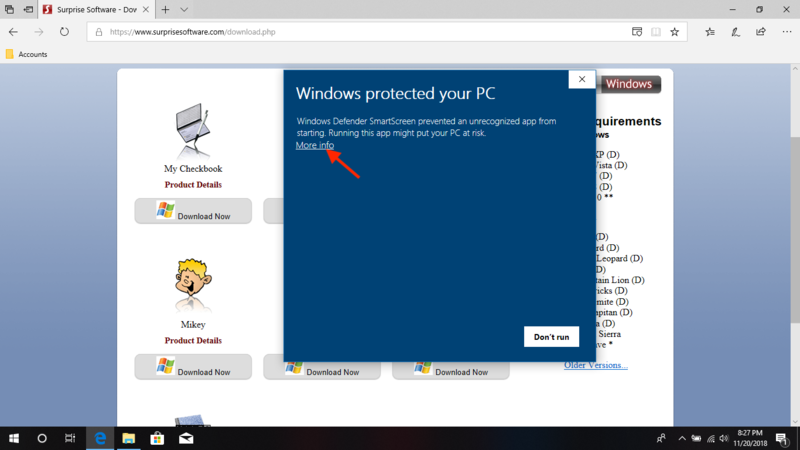 For your convenience, you can also create a shortcut on your taskbar or desktop if that helps. NOTE: Double-clicking on My Checkbook data files will not launch the program. You must launch it from a Start, Taskbar or Desktop shortcut.